The brand name of your medication is LETOCAN® and the generic name is Caspofungin acetate. LETOCAN® is an antifungal medication that is belonged to a family of antifungals called echinocandin. This medication interferes with production of one of polysaccharides called Glucan in cell wall of fungi. It stops cell growth and cause cell death. This medication is a Sterile lyophilized powder available in 1-vial containing package, contains 50 mg or 70 mg Caspofungine. Each Vial of Letocan® contains Caspofungin as active pharmaceutical ingredient. 1 Why is LETOCAN® prescribed? Sever fungal infection in organs. It is called invasive candidiasis. This kind of infection is caused by fungal cells called Candida. Fungal infection in your nose, nasal sinuses or lungs (called ‘invasive aspergillosis’). if other anti-fungal treatments have not worked or have caused side effects. This infection is caused by a mould called Aspergillus. LE TOCAN® may also be used for other conditions that has not responded to other medications. 2 How is LETOCAN® given? LETOCAN® is usually given as an injection at hospital or clinics by a health care professional. Your doctor will define interval and dosage of your treatment regimen. LETOCAN® is as a single daily infusion over 1 hour. 3 What special precautions should you follow during your treatment with LETOCAN®? Your doctor monitors your treatment protocol. If necessary blood tests will be taken. LETOCAN® may cause some liver problems. If you notice any symptoms like dark or pale stool, nausea, vomiting, lack of appetite, pain in upper abdomen, yellowish skin or eyes contacts your doctor immediately. LETOCAN® can cause serious sensitivity reactions like anaphylaxis. This reaction is life-threatening and needs medical care immediately. If you notice symptoms like Skin rash, itching, change in voice, breathing difficulty, difficulty in swallowing or any swelling in your mouth or face, contact your doctor immediately. Before taking any prescription drug or OTC consult with your doctor. LETOCAN® can cause severe or life threatening allergic reactions that required immediate medical intervention. So tell your doctor immediately if you have these symptoms. Tell your doctor immediately if you have breathing problem with wheezing or skin rash which become worsen. If you have cough or sever breathing problem, contact your doctor immediately, if you have invasive aspergillusis, if can lead to breathing disorders that cause respiratory failure. If you notice skin rash, skin peeling, mucus membrane sores contact your doctor immediately. 5 What is the storage condition of LETOCAN®? Store LETOCAN® at refrigerator (2-8° C) and away from light before opening (keep in original outer carton). Reconstitute should be clear and free of any particulate matters. If not, please avoid using it. Keep vial out of reach of children. LETOCAN® should never be used after the expiration date printed on the packaging. LETOCAN® (CASPOFUNGIN acetate) is a sterile, lyophilized product for intravenous (IV) infusion that contains a semisynthetic lipopeptide (echinocandin) compound synthesized from a fermentation product of Glarea lozoyensis. LETOCAN® is an echinocandin antifungal that inhibits the synthesis of β (1, 3)-D-glucan, an integral component of the fungal cell wall. LETOCAN®50 mg is a lyophilized white to off white cake or powder for intravenous infusion supplied in single-dose vials with an aluminumcap and an Aqua blue flip-off cap. 1.2. Treatment of candidemia and the following candida infections: intra-abdominal abscesses, peritonitis, and pleural space infections in adult and pediatric patients (3 months of age and older) Limitation of Use: CASPOFUNGIN acetate has not been studied in endocarditis, osteomyelitis, and meningitis due to Candida. 1.3. Treatment of esophageal candidiasis in adult and pediatric patients (3 months of age and older). Limitation of Use: CASPOFUNGIN acetate has not been approved for the treatment of oropharyngeal candidiasis (OPC). 1.4. 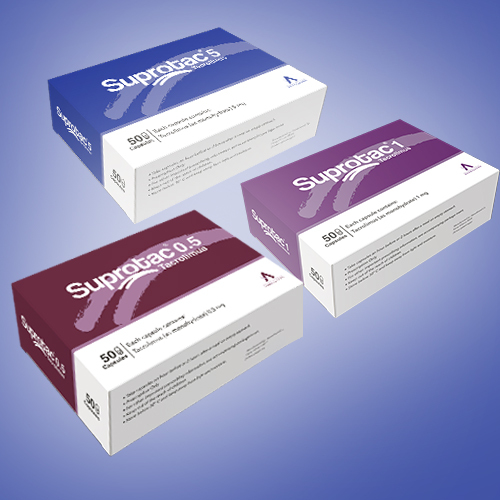 Treatment of invasive aspergillosis in adult and pediatric patients (3 months of age and older) who are refractory to or intolerant of other therapies Limitation of Use: CASPOFUNGIN acetate has not been studied as initial therapy for invasive aspergillosis. Administer CASPOFUNGIN acetate by slow intravenous (IV) infusion over approximately 1 hour. Do not administer CASPOFUNGIN acetate by IV bolus administration. - Equilibrate the refrigerated vial of CASPOFUNGIN acetate to room temperature. - Aseptically add 10.8 mL of 0.9% Sodium Chloride Injection or Sterile Water for Injection, to the vial. - Each vial of CASPOFUNGIN acetate contains an intentional overfill of CASPOFUNGIN acetate. CASPOFUNGIN acetate is contraindicated in patients with known hypersensitivity (e.g., anaphylaxis) to any component of this product. Pregnancy Implications: There are no adequate and well-controlled studies with the use of CASPOFUNGIN acetate in pregnant women. CASPOFUNGIN acetate should be used during pregnancy only if the potential benefit justifies the potential risk to the fetus. Excretion in breast milk unknown/use caution. It is not known whether CASPOFUNGIN acetate is present in human milk. Because many drugs are excreted in human milk, caution should be exercised when CASPOFUNGIN acetate is administered to a nursing woman.